Dinosaur Pinata. Choose from Brachiosaurus, Triceratops, Stegosaurus. 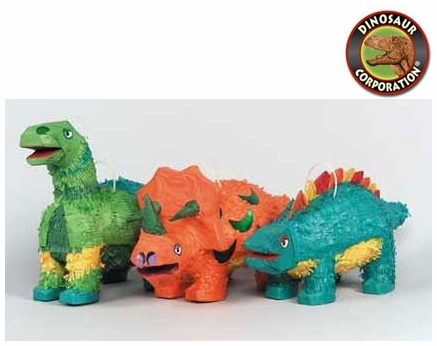 Decorate your dinosaur party with our Jurassic pinatas and kids will enjoy time at your Dinosaur Party.